Sorry it has taken so long to get this information on this blog, it has been a very strange week to say the least. Having your bikes stolen is very upsetting but repairing the damage caused also takes its toll and takes a lot more time than you would like to repair and I have increased security while I was at it. 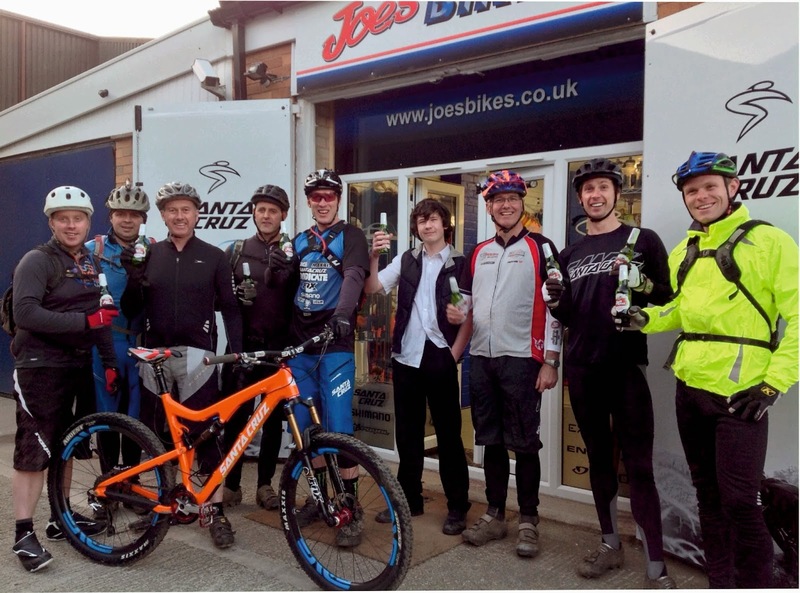 The theft happened at around 2:00am in the morning of Thursday the 1st of May, four hoodie wearing men in their early twenties forced entry through a fence then the front of Joe's Bikes. They took a Large white Santacruz Tallboy carbon, a Large Yellow Santacruz Tallboy LT carbon and an wxtra Large Santacruz Nomad alloy in Syndicate colours which was once a team bike of Steve Peat. I will post some photos shortly but there are some on my Instagram at joesbikes if required. Any info as to their whereabouts would be welcomed with a reward, they are missed and will be hard to replace, three very distinctive bikes that will be easy to spot when work needs doing on them. I have not had time to write anything on this blog for a while, and found it hard to do any quality riding either due to work commitments, building a bike shop from scratch along with my other daily duties was always going to be a big ask.